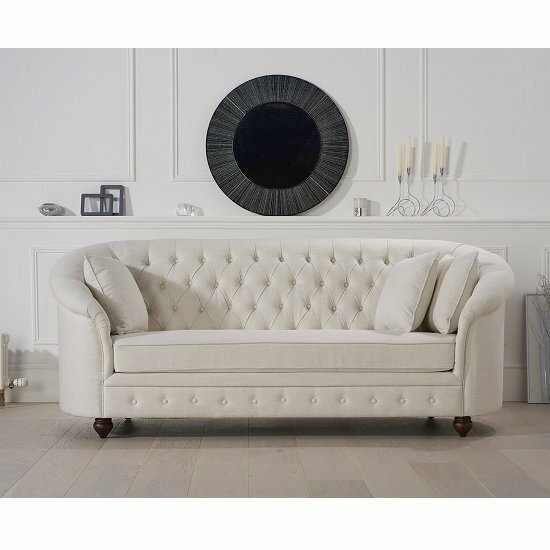 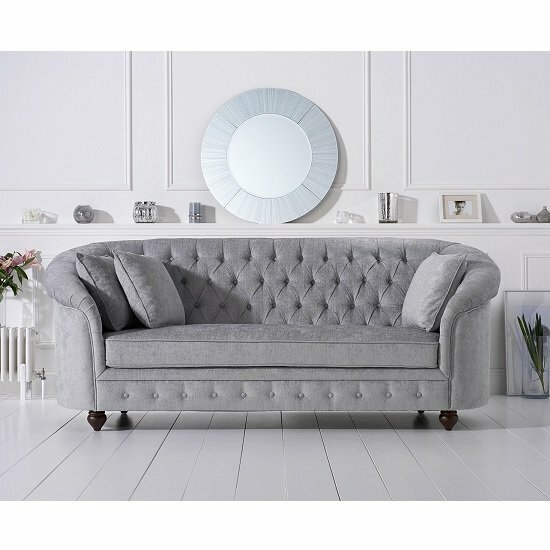 Astoria Chesterfield 2 Seater Sofa In Grey Linen Fabric With Wooden Legs, oozes style and elegance to your living room. 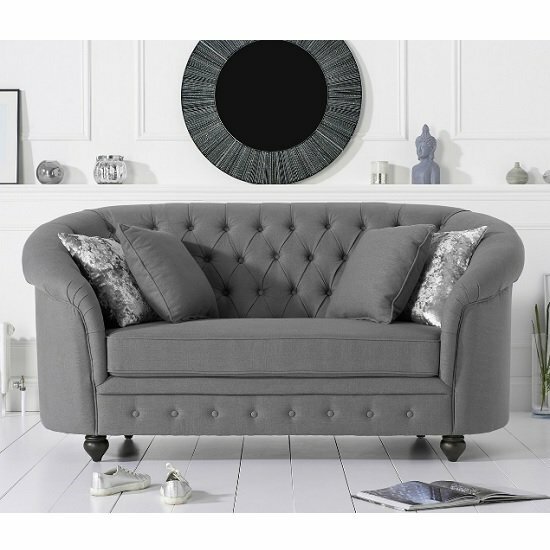 This 2 Seater Sofa is crafted from luxurious fabric in grey linen fabric with wooden base design in solid ash. 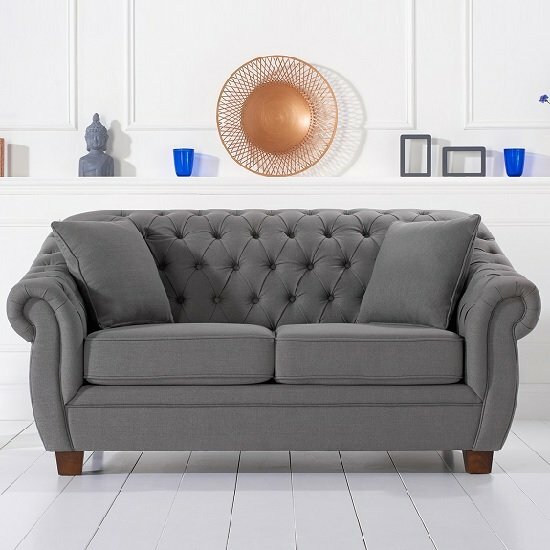 It features High back with arms gives feeling of comfort. 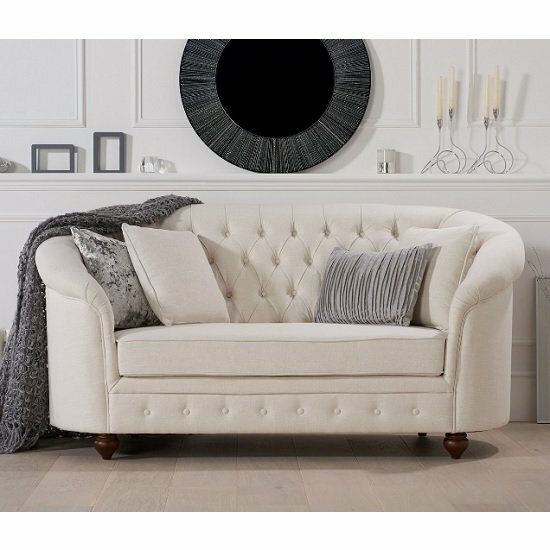 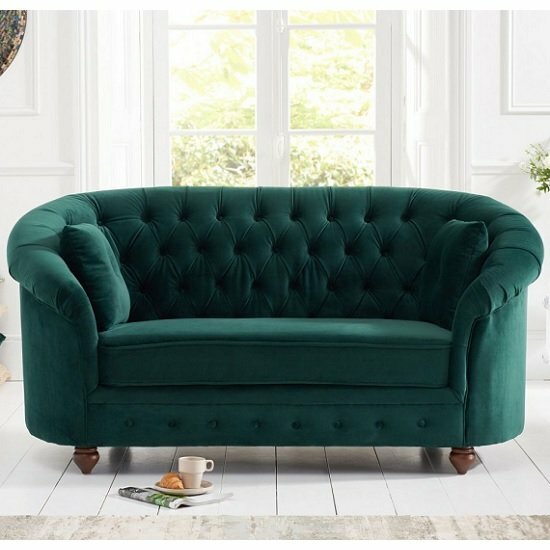 This 2 Seater Sofa has deeply padded seat cushions and classic button-back gives additional comfort. 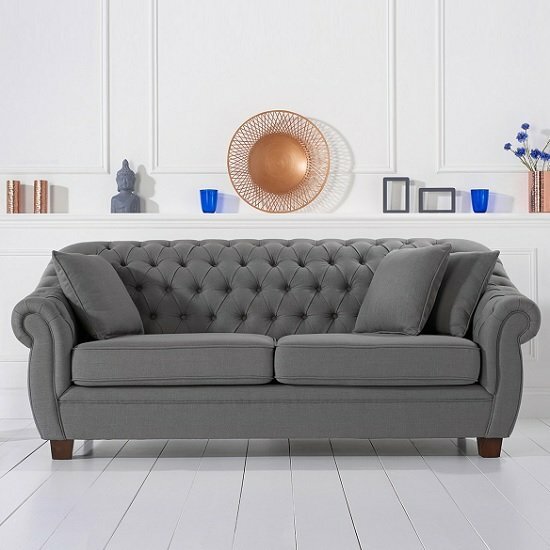 Matching 2 Cushions(40x40cm) is also included. 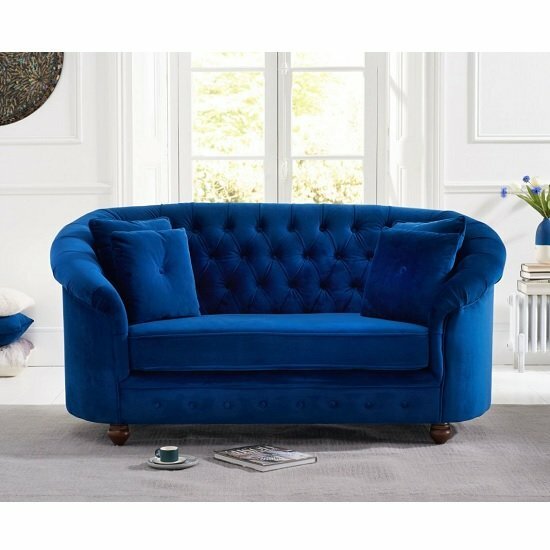 Matching 1 Seater And 3 Seater Sofas are also available. 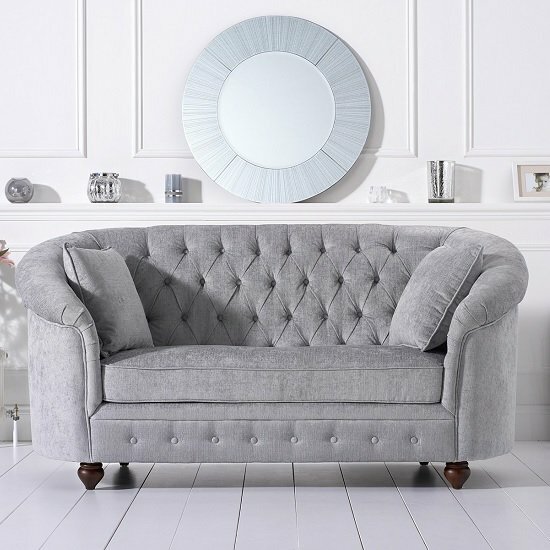 Features: Astoria Chesterfield 2 Seater Sofa In Grey Linen Fabric With Wooden Legs Grey Linen Fabric Solid Ash Legs High back with arms Armchairs deeply padded seat cushions and classic button-back Matching 2 Cushions(40x40cm) is also included Matching 1 Seater And 3 Seater Sofas are also available Also available in Grey Plush And Ivory Fabric Ideal for your living room Available at an Affordable Price Dimension: Depth: 95cm Width: 182cm Height: 90cm.